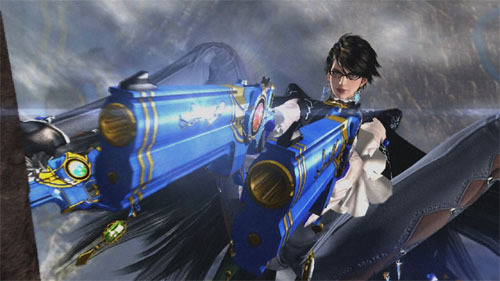 Yesterday, Nintendo announced at their E3 presentation that Bayonetta 2, the sequel to hit action game by Platinum Games, would feature a 2-player mode. While some sources claim that "co-op" was announced, other sources state that simply "two-player mode" was mentioned. So while it's looking promising for co-op, let's hope we don't find ourselves in the "co-op" versus "multiplayer" semantic confusion that a lot of other people throw around (but not us, never us!). Other details are currently next to non-existent. It's even a mystery whether the two-player mode will be local or online. Regardless, this is certainly exciting news for Bayonetta fans out there. I find myself a little excited, and I don't even own a Wii U.
Bayonetta 2 will be a Wii U exclusive, set to release some time in 2014. Nintendo confirmed that development is currently on track. We'll let you know more details as we get them.